10 x 1 Br fully self contained apartments. Seamist apartments are ideally situated on Geelongs waterfront, walking distance to cafes, restaurants, parks, gardens and central business district. of bay views and standard apartments with queen, double or twin bedding to choose from. 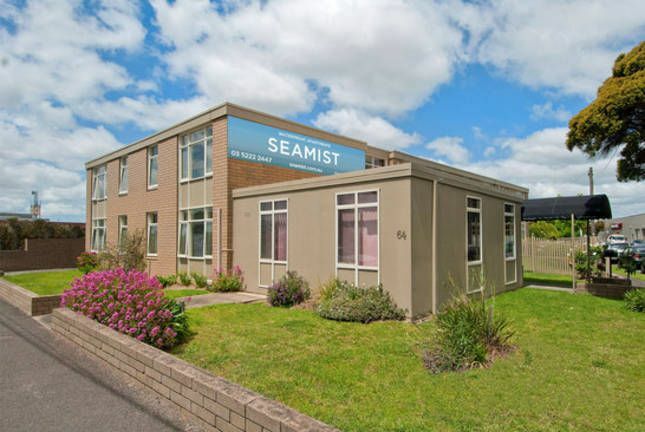 Seamist is the gateway to Bellarine Penisula, Great Ocean Road and Surf coast beaches. Ideal for corporate traveller, rates reduced for long term bookings. Good location and everything we needed so perfect for our needs. Clean and roomy and great service. Kate was helpful and friendly and welcoming. We will be back as great stay for us. Great Host , very helpful , reasonable price for the Accommodation. We will be back . We found the Sea Mist a great place to stay, we were able to park the car & walk just about everywhere we wanted to go. Lovely views from our room. We would certainly stay again.